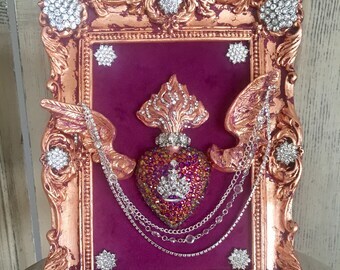 What a gorgeous rhinestone embellished ex-voto heart! 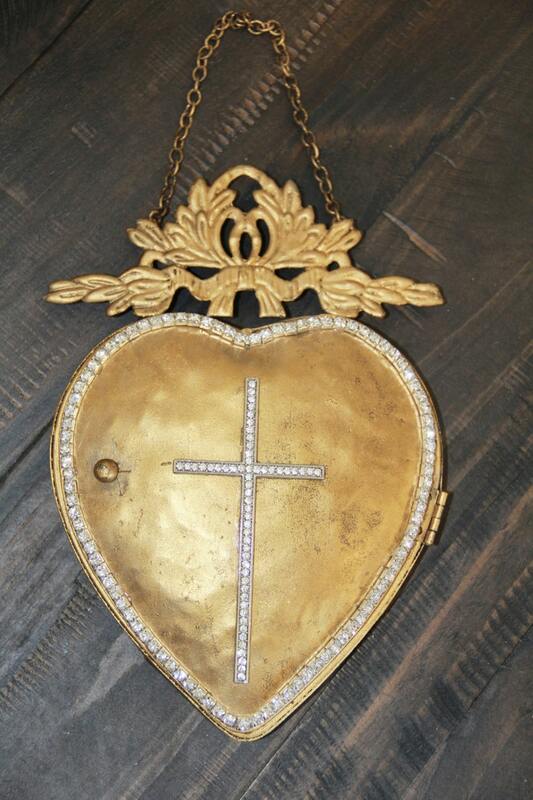 This hand finished gold heart with rhinestones and crystal cross reveals a mirror inside. Lovely because of it's unique size and finish. 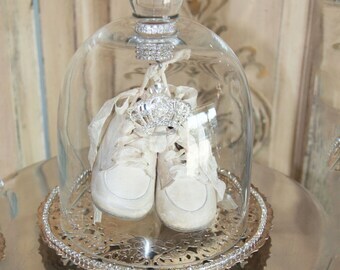 The finish is metallic antiqued gold, painted gold highlights and finished with rhinestones for added bling. 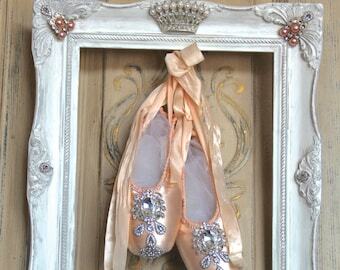 Each piece is hand finished so no two are ever quite alike. 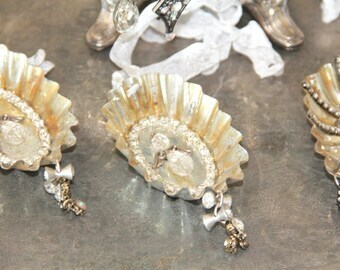 They have a beautiful antiqued appearance. 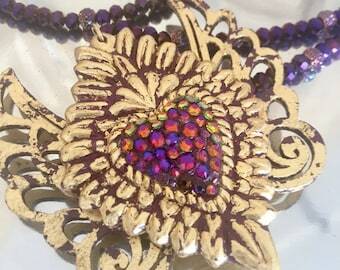 This ex-voto heart would be perfect as a hostess gift, or for that special person who loves one of a kind items too! 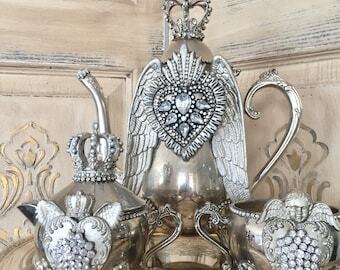 My studio uses the latest decorative finishing techniques, exquisite embellishments, and detailed handmade artistry to create new and unique decor for your special occasion or space. It's very rare that two pieces are ever exactly the same. 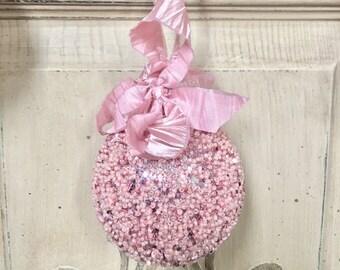 Size is 8"x6" with an additional 3" chain attached for hanging.